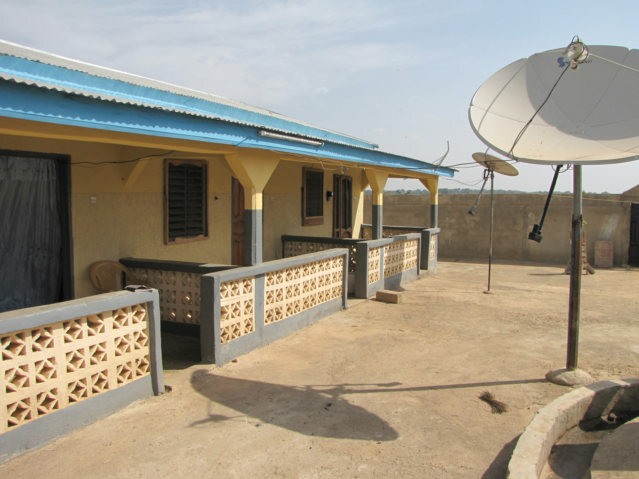 "Almost half the world — over three billion people — live on less than $2.50 a day"
If you can do common sense math, it become obvious that when a person earns less than 100 dollars a month, they can only pay 20 Dollars per month for rent. I wrote this when I was in Cinkasse, I have moved to Lome now. 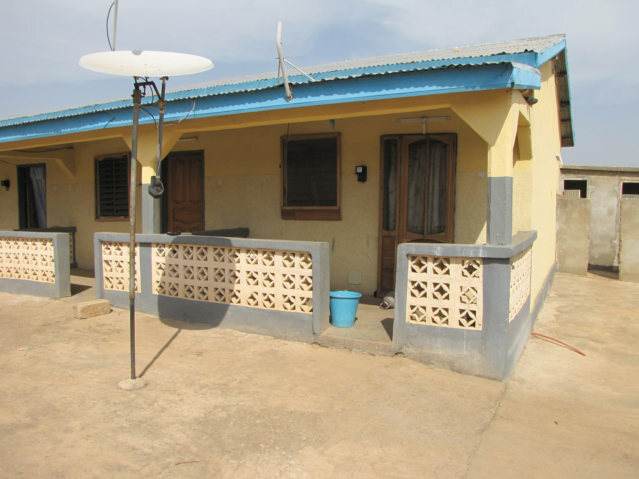 I have recorded a video showing a 20 Dollars per month apartment in Togo, Africa. 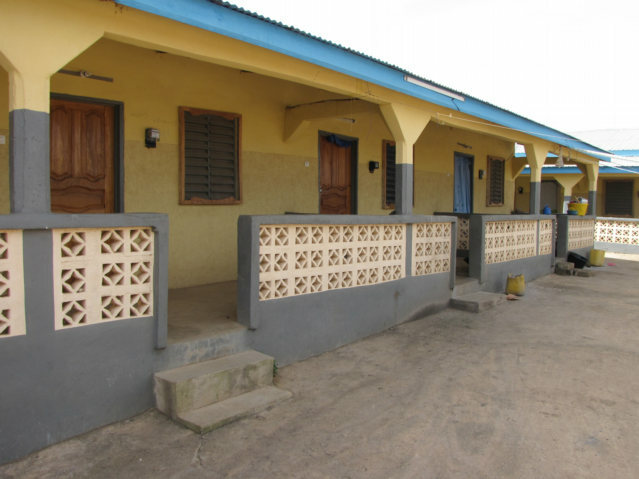 I am presently living in a 20 U.S. Dollar per month apartment in Cinkasse, Togo in West Africa. 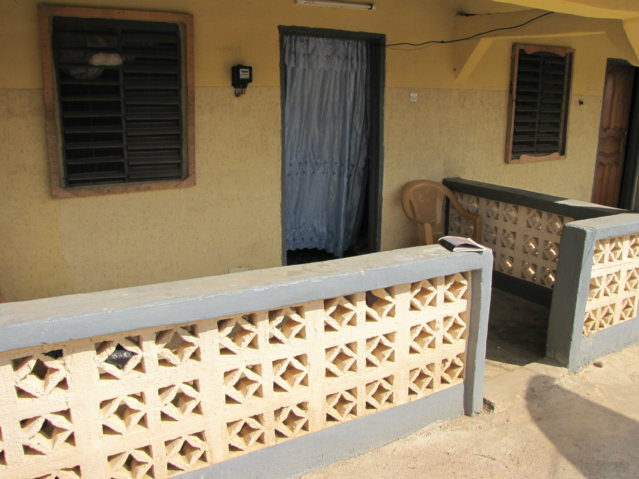 I found a similar apartments in Cote d’Ivoire but was not able to record a video. This type of apartments is the normal way the world lives, the people in the USA are the abnormal world. I can take this room and make it the same as at home in the USA, I have all I need and more. How we live, decorate the home has more to do with culture than money. What is important to me, is often not important to a Togolese person. 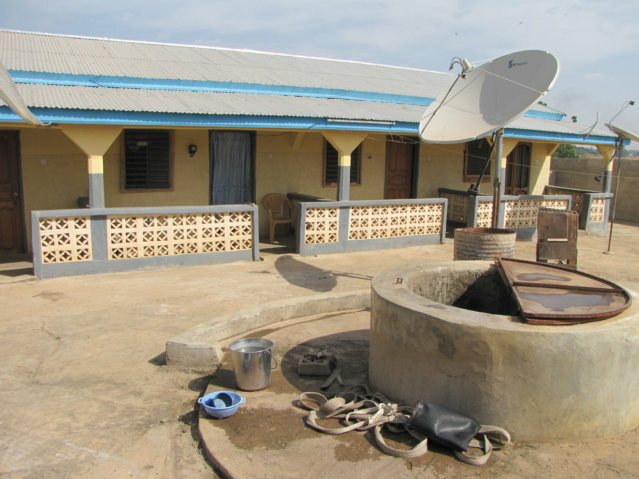 For example, in the USA walking in the freezing snow to an outside toilet would be a problem, while in Tropical Togo it is nice to have this contraption outside the room. Two large rooms and a porch. The biggest advantage here is the community, there is no way to isolate yourself and become a hermit, you are part of something at all times. 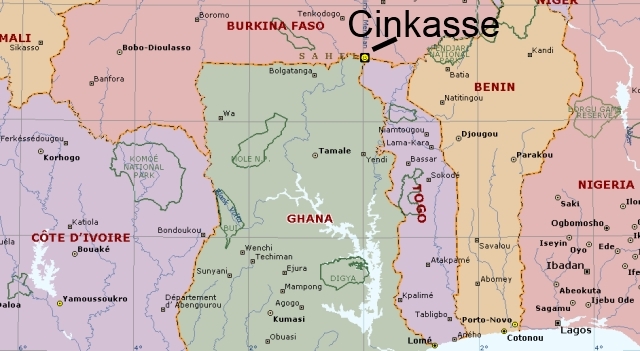 Map to location of Cinkasse, Togo.